Main en-GB Analytical materials Analytical materials / Kazakhstan What Are The “Three Pillars” Of Kazakh Sinology? What Are The “Three Pillars” Of Kazakh Sinology? “Kazakh sinology lives rather in spite of than thanks to the state policy. It looks more successful compared to other republics of the region due to extensive contacts with China and a large size of economy. However, if we compare it with the Russian indicators, then it is obviously impossible to call several separated sinologists as a school”, – notes a political scientist and China expert Adil Kaukenov in his article, written specifically for the analytical platform CABAR.asia. The officialdom primarily considers the expert and scientific-analytical pool not as an “adviser” but as a tool serving the interests of propaganda. For many years the topic of China has been popular in Kazakhstan: numerous various publications, scientific monographs, collections of articles have accumulated. In addition, a huge number of scientific conferences and round tables were held. This has become a kind of symmetrical response to a passionate interest in China – one of Kazakhstan’s main economic partners. Nevertheless, the opinions and interpretations of certain facts or figures expressed in such publications more often cannot unfortunately be evaluated as competent. The problem is; many people are trying to make a qualitative survey on China often relying only on their own subjective opinion, but by no means can all do it. This is actually the keystone of all problems of modern Kazakh sinology; the demand from society, media and business inevitably creates supply, but in 90% of cases the adequacy of the expressed points of views leaves much to be desired. This raises a question: who can confidently be qualified as a professional sinologist? There are extremely few existing specialists in Kazakhstan, who in the full sense of the word can be called sinologists (中国通 in Chinese). Only 7-8 names can be called from those who are actively working and capable of giving high-quality analytics on one or another aspect of Chinese realities. It is necessary to immediately specify who can be called a sinologist, because during the outbreaks of media interest in Chinese topic, everybody is called a China specialist. According to this, it is necessary to define the worldwide accepted competences and criteria of sinologist. The first and undoubtedly the most important criterion is knowledge of the language at a proper level. Only knowledge of the language allows you to read literature and media, focused not on the external public, but on the internal media market, track the moods in social networks, get insider sources, and understand the moods and discourse of China. It is needless to say that a good knowledge of the language is the only key to such intangible things as mentality, culture and psychology. A person who judges China by the articles of other experts conducting their own field research is at the best case can be called a good plagiarist. He retells other people’s thoughts in his interpretation, but does not have access to real sources. At worst, it is a person with dubious moral principles, who gives an opinion of a philistine as an expert. In modern Kazakhstan it is possible due to the deprofessionalization of international journalism and media in general. These organizations are ready to publish the opinion of almost any “researcher” who is ready to present his thoughts “of China” in intelligible way. As a result, such specialists are very often widely known. Second, knowledge of the language is of course not enough. The linguist is far from being a sinologist. Even a talented translator is not a sinologist. Regular visits to China for research purposes are another important quality of sinologist. The fact is that the country is rapidly changing and absolutely everyone who is familiar with Chinese realities is saying this. Even the language is evolving in front of our eyes; old terms disappear or change their meaning and the new ones appear. Political and economic system is changing literally in front of our eyes, from the outside it is almost impossible to perceive or it might be easily misunderstood. A huge part of the processes in Chinese society is becoming increasingly tied to communication in Internet and on mobile technologies in general, it is very different from the society of not only ten, but five years ago. The same changes affected almost all spheres of life in China, obviously, in a few more years China will be again dramatically different from todays. Taking all this into account, it is absolutely impossible and extremely difficult to provide a competent survey of what is happening or will be happening in China by constant sitting in Kazakh office or occasionally visiting China at English-speaking or Russian-speaking conferences. Thirdly, knowledge of the language and frequent trips to China are not a sufficient set for a person to be called a sinologist. A businessman traveling to and from China for goods, even with an excellent knowledge of language is not a sinologist of course. Therefore, the following clear criterion of sinologist is involvement in scientific activities, which in particular assumes the availability of a sufficient number of scientific publications that have links to relevant sources and have received an appropriate evaluation from the scientific and expert community. In other words, if a specialist has access to the necessary and key sources of information about China (which opens by reading the literature, communicating with the Chinese, visiting China) and knows how to correctly interpret and use the obtained knowledge to create research that meets the criteria of a good scientific work, then such a specialist can be attributed to professional sinologists. Here are three basic criteria, so to say, three pillars, at least on which the name of a sinologist should be based. This does not even take into account such nuances as specialized education, availability of an academic degree on this subject, contacts in the sinology community and involvement in expert circles. “It is important to understand that from the scientific conceptual point of view the word “sinology” is blurred”. It means that sinologist should have a specific specialization in a specific topic, for example, economics, culture, politics, security, history, etc. Professional sinologists understand this and immediately define the area or areas of their scientific interests. It should be noted that there is a pronounced dissonance in Kazakhstan. On one hand, literally a burst of publications shows that there is an interest of China. But at the same time there are only a few lasting stable names, and a huge number of one-day writers who are, in fact, either not sinologists or could not stay in the profession. It should be noted that it is really hard to stay in the profession, and this is connected not even with sinology itself, but with the crisis of general scientific and analytical thought in Kazakhstan. This fact is fairly easy to explain. The decision-making center in Kazakhstan is extremely narrow due to the tough authoritarian system of power. Therefore, there are few real decision makers who need analytical information, in particular, on China, to make the most informed decision for which they will have to bear responsibility. A very significant trend of the last decade in Kazakhstan is that all officials connect all decisions with the name of Kazakh president Nursultan Nazarbayev, thereby relieving of responsibility from them and shifting it on the head of state. As a matter of fact, the analytics is precisely needed for the solution to be as informed as possible. If no responsibility is foreseen and more often collective irresponsibility is specified, which is safely insured from public attention by draconian laws on media, and then a serious understanding of the situation is not a vital tool to allocate funds for. In addition, there is a serious deprofessionalization of the top management level in Kazakhstan. The whole industries are managed by people who have neither relation to this industry nor practical experience in it. The analytics market in Kazakhstan is so miserable and small that it is hard to stay in it due to a very limited amount of finance and pretty high competition. A constant rotation that often results in a total change of personnel in leading analytical centers does not allow the personnel and schools to settle down. Despite the narrowness of the analytical market described above and the need for specialists in international relations, the demand for oriental studies, sinology and Chinese language in general, is increasing in Kazakhstan. The overwhelming majority focus not on science, but on applied industries, where a severe shortage of personnel exists. A political science managed to provide itself with a number of internationally recognized specialists, but such segments as Chinese law, economics, Chinese management, Chinese e-commerce, logistics, culture and even business are characterized by the absence of any famous names. People feel this vacuum, as a result, a lot of people signed up to the Chinese faculties and courses. Even more young people are willing to study in China. An interesting fact is that the active participation of Kazakhstan in the Chinese “Belt and Road Initiative” and annually increasing volume and quality of Kazakh-Chinese economic cooperation, face now a lack of specialists. It is impossible to create complex joint productions without a wide variety of various profile specialists, for whom Chinese language is just one of their skills. The standard of Chinese production, management, culture and human relations is much more important knowledge that should be in possession here. Moreover, these skills cannot be taught only at the university. In order to pass on the knowledge to new university graduates or young professionals in companies, at least a generation of people who have worked in real production and in the real sector should change. 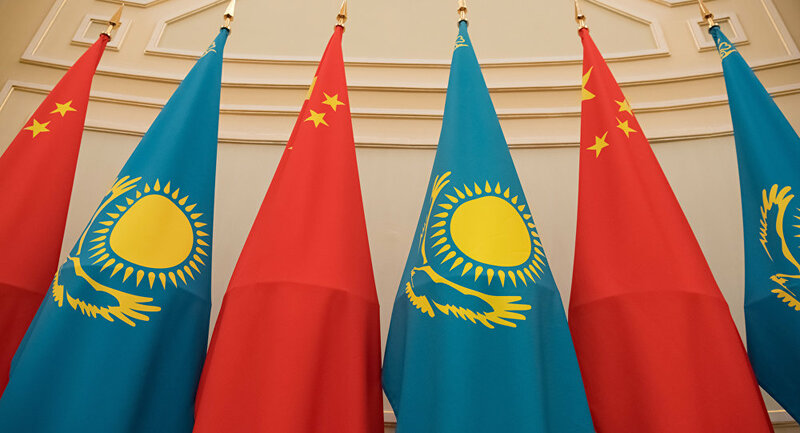 Sinophobic background in Kazakhstan is the legacy of the Soviet-Chinese conflict and is nurtured by a new competition between China and the United States, as well as contradictory relations between China and Russia. It is important to note that sinophobia in Kazakhstan is artificial. It is vividly confirmed by a huge number of Kazakh students who have rushed to Chinese universities. About 14,000 students from Kazakhstan study in China, making China the second most attractive country for higher education. The first place for young Kazakhs is still occupied by Russia, this is connected, firstly, with the common language, and secondly, with the demographic decline in Russia due to the demographic gap of the 1990s. As a result, Russian universities absorb applicants from Kazakhstan. If we look at the areas that Kazakh students specialize in, more than 35% of those who came to study in China are at faculties of “Chinese language and culture” or take language courses. About a third of the total are in economic direction, which includes such disciplines as “international trade”, “management”, “world economy and trade”, “finance” etc. About 10% of Kazakh students study law. Among technical disciplines they prefer: “oil engineering”, “architecture”, “industrial design” and others. The language itself is just an entrance ticket to the beginning of a sinology profile career. But even those students who graduated from a Chinese university with highest GPA will not necessarily be in demand with these diplomas in Kazakhstan. The language itself is just an entrance ticket to the beginning of a sinology profile career; perhaps one can work with it as a translator, but additional skills are also needed there. In addition, in order to work as an interpreter a special ply of the character is required. As for written translations, this activity is almost never a primary and profitable business, in 90% of cases this is just a part-time job. In other words, in addition to the language, graduates also need special knowledge relevant to Kazakhstan and a question of the applicability of Chinese higher education in rises there too often. There is no need for the development of political sinology in Kazakhstan. In other words, there is no need for specialists who would prepare strategies for developing relations with China in various spheres of bilateral cooperation. This is due to the tough authoritarian system, which in many ways bases decision making relying on personal experience and the opinion of either the head of state or a particular person who makes a decision at one time or another. It means that no prospects are foreseen for the system to be changed. Moreover, the officialdom is already entrenched in its traditions and decision making system and their implementation. As a rule, a rationale or analytical survey is either completely absent or occupies the last place within the priorities. It should be noted that the officialdom primarily considers the expert and scientific-analytical pool not as an “adviser” or moreover, a “watch dog” from society, but as a tool serving the interests of propaganda. Strategies are written within the framework of the ministries, and the expert community at the best case is involved for further propaganda of the developed ideas. This thesis is vividly confirmed by the fact that despite the intensive development of relations with China and the signing of many agreements and contracts at the state level, the presence of people with knowledge of Chinese realities, decision-making specifics and Chinese language in the highest power corridors of Kazakhstan is still utopia. Moreover, China Institute, which has been repeatedly proposed by the scientific community, has not been established in the country, the authorities have a rather cold attitude towards the establishment of such an entity. Obviously, if such an institute is created, then it will be necessary at least to get acquainted and take into account the recommendations and elaborations of this institute for making further decisions, which is already unsafe for officials if the calculations and decisions will go against the initial plan. Moreover, it is necessary to understand the logic of the officialdom from the left bank area of Astana, which is firmly convinced of its own, or rather, corporate innocence. It is unable to perceive the scientific community as at least equal to itself. And the scientific community is definitely not an authority for the officialdom. Kazakh sinology lives rather in spite of than thanks to the state policy. It looks more successful compared to other republics of the region due to extensive contacts with China and a large size of economy. However, if we compare it with the Russian indicators, then it is obviously impossible to call several separated sinologists as a school. Even in state analytical entities sinologists deal with a bunch of other countries. As a rule, there is no more than one for the whole entity, in many cases they simply do not exist. There is no trend that would indicate a change in this tendency and it is not foreseen. The most likely transit of power is the Uzbek or Turkmen version, in which the tough chain of command fixated on the central figure will not change. No incentives for the development of various points of view, academic freedom of thought and speech are foreseen, this will not give an opportunity to form an integrated school of sinology. At the same time, the number of practitioners with experience in Chinese companies involved in economic processes, joint projects and real production will grow. At the same time the theoretical sinology will remain in a rudimentary form. The consul of the PRC in Almaty explained why Kazakh students are going to study in China. Bnews,kz. Study in China: what our students want and get. Zakon.kz.